I recently spent time with my family in the Adirondack Mountains. After several days inside a cottage by a lake, the sight of 2517 Marathon Street quickly reminded me of it. 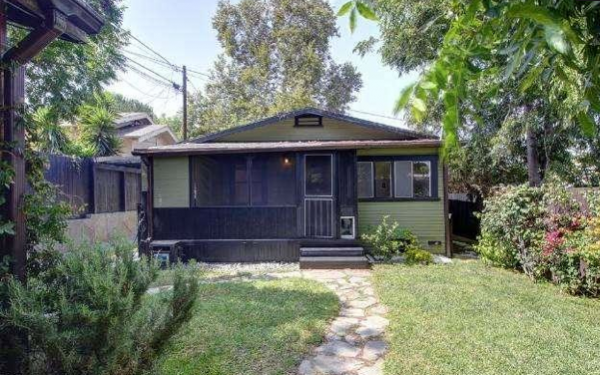 It is centrally located on the cusp of the Silver Lake – Echo Park border, perfect for the bike-friendly new homeowner. 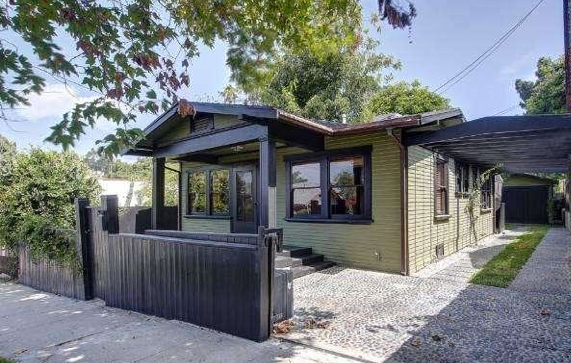 On the market at $599,900, this 2 bedroom, 1 bath Craftsman was originally built in 1920, but has recently been updated with new floors, kitchen, central air and heat – all while maintaining much of its character charm. 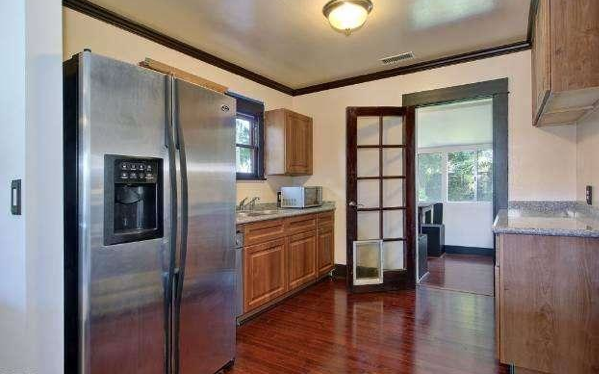 The updated kitchen comes complete with the requisite steel appliances. 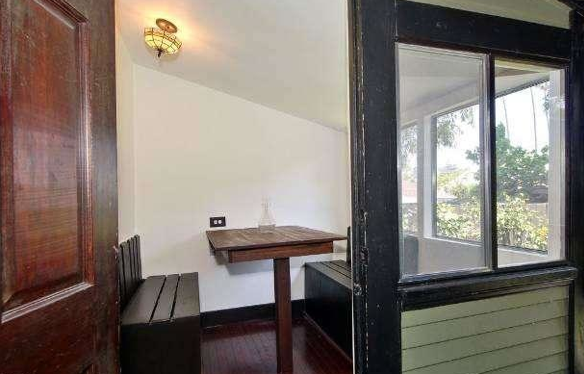 I particularly like the breakfast nook in the back with a built in table and benches, which leads to a covered porch overlooking the large backyard. 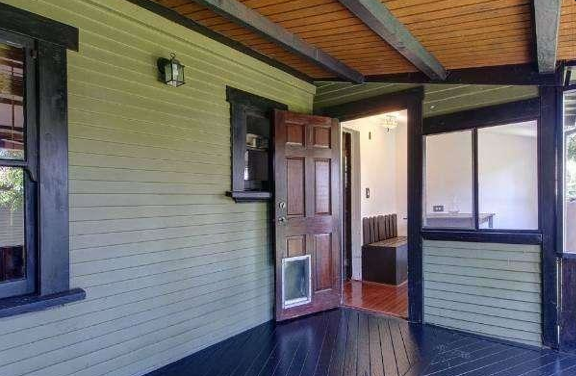 The 1000 sq/ft home also features doggy doors (easily replaceable), which are perfect for that well-trained pooch that can avoid waking the family to do its business. The home comes with automatic gated parking, along with a long driveway that is great for multiple vehicles. 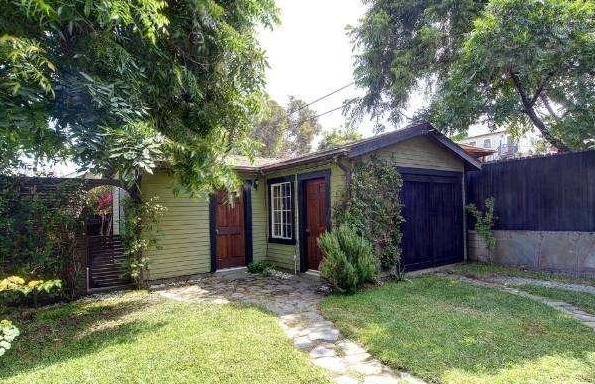 A small permitted rear studio was recently added, complete with bathroom and a private outdoor patio. 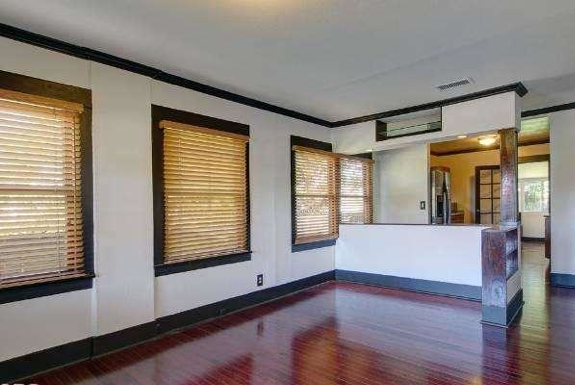 Though it works well as a separate guest suite or office, it is zoned LARD2, so it would have been nice for them to install the water and gas connections in the kitchen to make this a more investment-friendly property. Brock Harris of Brock Real Estate has the listing.